Height at the back : 31 cm. Height at the front : 27 cm. Total width : 54 cm.This model used to equip most notably general officers and marshals. 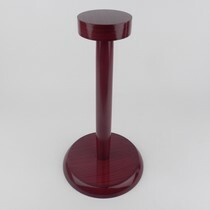 It is available in all standard sizes, please allow possible delays in case of stock shortage. Very useful, especially when you travel by plane. Indicated price is for a bare hat, but we can of course supply cockades, torsades, button...etc, as for other hats. 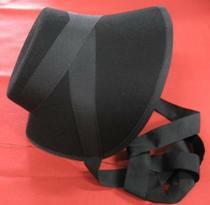 In fact you can choose the type of "equipment" you need for your hat inside hat heading and then precise that who want a folding bicorn....just expect a delay(around 5 weeks). 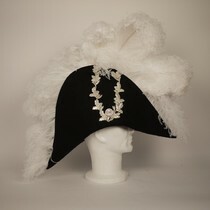 This kind of hat existed during the Empire period, and it kept reappearing all along the 19th century, according to what was fashionable at that moment. 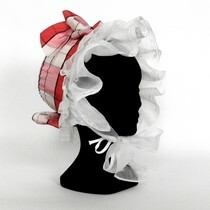 It can be worn as such,you can change yourself ribbon for another colour, or you can also cover it with fabric to make it a hat for an elegant woman. 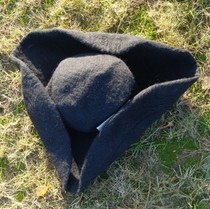 This kind of hat existed during the Empire period, and it kept reappearing all along the 19th century, according to what was fashionable at that moment. 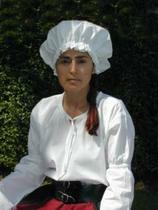 It still exists as a traditional hat in Creuse. 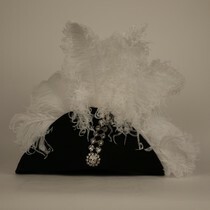 It can be worn as such, with a ribbon of another colour, and it can also be covered with fabric to make it a hat for an elegant woman. Suitable for canteen women. Really gorgeous! 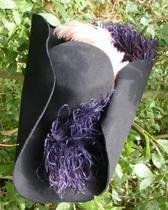 Felt, embroideries, feathers. Can be delivered within 2 months. This type of hat can be seen in Kyoto museum, maybe the most interesting collection of civilian Empire costumes, on an amazone suit. 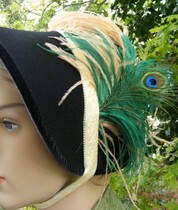 It can be completed with assorted feathers (not included in price) . Used from middle age till Empire. Jolie coiffe médiévale pour femmes. 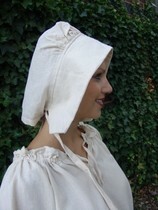 Charlotte en coton,plutôt utilisée à partir de la renaissance, mais souvent vendue pour le moyen-age, nous l'avons donc fait figurer également dans cette rubrique. Quite interesting to present your helmets and hats. 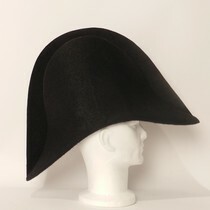 This kind of hat existed during the Empire period, and it kept reappearing all along the 19th century, according to what was fashionable at that moment. 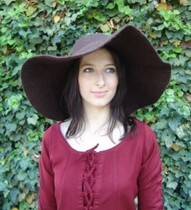 It can be worn as such, with a ribbon of another colour, and it can also be covered with fabric to make it a hat for an elegant woman.